The Chicago Cubs kicked off the 2019 season with a Theo Epstein, Jed Hoyer, Joe Maddon-led press conference as pitchers and catchers officially report to Spring Training. Much, much more on the presser coming soon, but one of the newsy bits that stood out was Epstein’s revelation that the Cubs may not be done making additions. Epstein said that the front office remains in contact with some of the players out there in free agency and their agents. But, before you starting thinking BIG FISH, he seemed to place those comments almost entirely within the context of the bullpen. He noted that there are still a lot of arms out there, as the market has been a bit soft and late to develop. 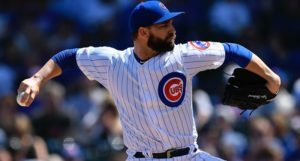 So, in his words, there’s a chance that the Cubs could “squeeze in” one more free agent reliever. 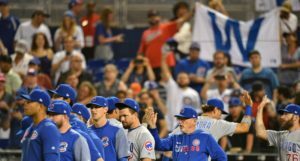 The Cubs have taken a volume approach to the bullpen so far, which has left us a bit lacking in confidence, even as we recognize that such an approach frequently does – eventually – yield a usable group of eight (with minor leaguers rotating in and out). 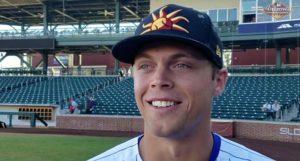 It’s a huge group that can absolutely succeed, but if the Cubs can get a deal late in the offseason on another more certain arm? No one is going to argue with that. 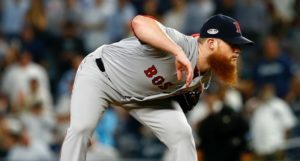 Among the free agent relievers still out there: Craig Kimbrel, Adam Warren, Ryan Madson, Tony Sipp, Jake Diekman, Jorge De La Rosa, and Xavier Cedeno, as well as bounce-back types like Drew Storen, Tyler Clippard, and A.J. Ramos, among others.